UK release date: June 26th 2000. 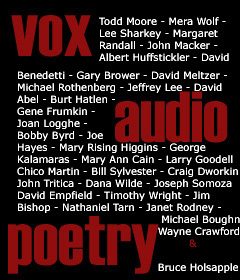 The seeds for this album were sown when Ralph Towner attended Maria Pia and John’s duo concert in Italy, after which they discussed forming the trio. The results of this inspiring evening are now captured in this rich and colourful album. 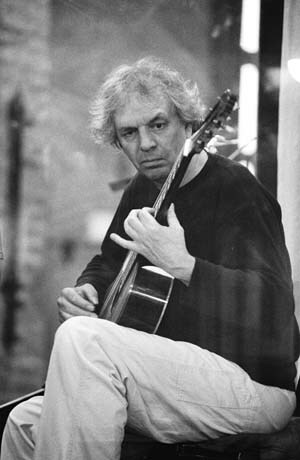 Ralph Towner is simply one of the world’s great guitar players; he has a body of work which encompasses his solo guitar work for ECM, the stunning long-term band Oregon, as well as numerous orchestral works and his outstanding contributions as a guest on many great albums. His keyboard skills and grasp of modern technology demonstrate that a rich imagination is at work whatever the occasion. Maria Pia De Vito is a singer, composer and arranger who has studied not only opera and contemporary singing, but ethnic and world music and since the 1980s has been mainly involved in the jazz scene. Her exquisite and unique voice has led her to work and perform with jazz stars from across the world including; Kenny Wheeler, Michael Brecker, Dave Liebman, Joshua Redman, Elliot Ziegmund, Enrico Rava, Gianluigi Trovesi, Giorgio Gaslini, Bruno Tommaso, Paolo Damiani, Paolo Fresu and Rita Marcotulli..
John Taylor is one of the finest and most revered pianists in today’s contemporary jazz scene. His music is known world-wide, and he has performed with many visionary and groundbreaking musicians such as; Jan Garbarek, Gil Evans, John Surman and Peter Erskine. In 1993 John was made a professor of Jazz at the Cologne College of Music. Maria Pia De Vito’s Biography Singer, composer, arranger, Maria Pia De Vito has studied opera, contemporary singing, music theory and harmony. She started her musical career in 1976 as a singer and guitarist (and, later, as a pianist) in groups that were ethno-oriented, specialising in music from the Mediterranean and the Balkans. 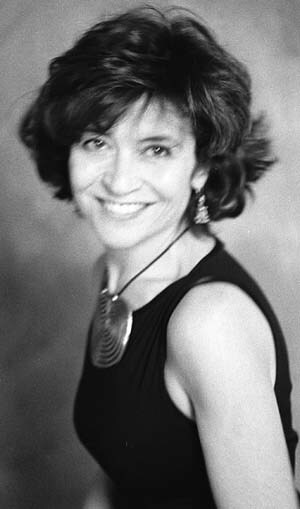 Between 1994 and 1997 she has been particularly working on the encounter between the music from Naples, her native town, and improvisational music. The fruit of this research produced two outstanding CDs, Nauplia and Fore Paese; with the latter being commissioned and co-produced with the “Suor Orsola Benincasa Univeristy” of Naples. Maria has also collaborated with English composer Colin Towns, recording with his “Mask Orchestra” on the CD Nowhere and Heaven, and performing with the band at Salisbury and the London Oris Jazz Festival (November 96). Maria perfromed once again with Colin Towns this time with the Mask Symphonic Orchestra and Norma Winstone at the Queen Elizabeth Hall (London, March 98)) in a special event. 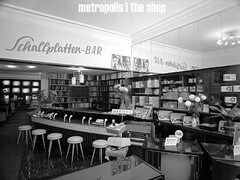 A well as performances at the Berlin Jazz Festival 98, and Cologne, Graz, (April99), Bath and Birmingham. 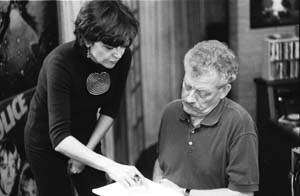 Maria recorded with Colin Towns for Still Life with the Mask Quintet, and Dreaming Man With Blue Suede Shoes with the Mask Symphonic and Norma Winstone. Maria’s last recording as a leader was Phon which featured the talents of John Taylor, Gianluigi Trovesi, Enzo Pietropaoli, F.Sanesi, which was presented in July ’98 at the Umbria Jazz Festival . She has performed in the trio Triboh with Rita Marcotulli and Arto Tun boyaciyan, producing an album of the same name. She is protagonist of other projects, like Il Brutto Anatroccolo by Giorgio Gaslini with the Orchestra Jazz della Sardegna; Gesualdo by Tino Tracanna, about the music of the madrigalist Gesualdo Da Venosa and Oltre Napoli, La Notte by Bruno Tommaso, which featured Trovesi, Minafra, Pietropaoli and a string orchestra. 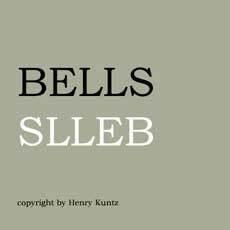 This is as well as Lettera da Orsara by Bruno Tommaso with the Orchestra Jazz del Conservatorio S.Pietro a Majella of Naples. Il Celeste Specchio, a project of classical contemporary music by Carlo Boccadoro. 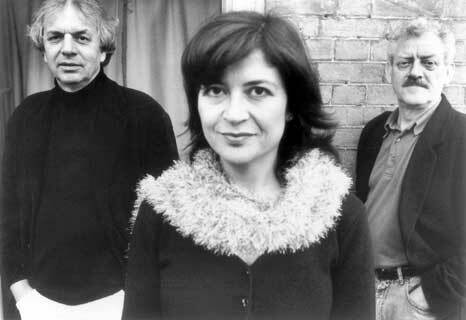 Maria is also part of a trio with John Taylor and Ralph Towner, which has only previously been performed in a live capacity when they toured Italy in the summer of 1998 and again in the spring of 1999. 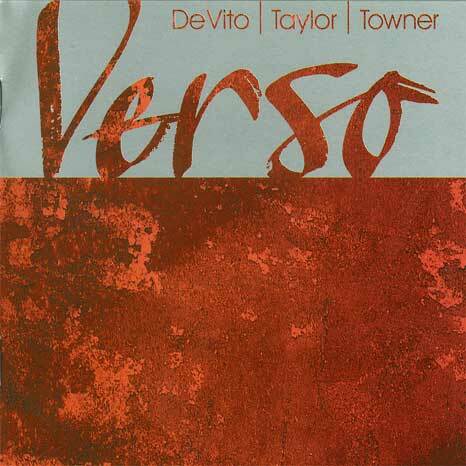 In January 2000 the trio once again formed and recorded their debut album, Verso on Provocateur Records, which oozes beauty due to the care and commitment they place in their music. For her debut album as leader on Provocateur Maria recorded Nel Respiro and released it June 2002. The album features Ralph Towner, John Taylor and Patrice Heral and combines Marias wide ranging musical interests and experience in different genres. These include sounds and rhythms inspired by music from Eastern Europe, India, Africa as well as music from renaissance and contemporary classical music, poetry and vocal experimentation. The CD, Verso, is one of the most extraordinary works of art! It is truly inspiring from a core level. I am a singer, and wanted to know where Maria has studied. My background is Jazz and my second language is Italian. I wish to study to expand in this style that combines more classic, opera,…please advise if possible. I am grateful for your assistance.